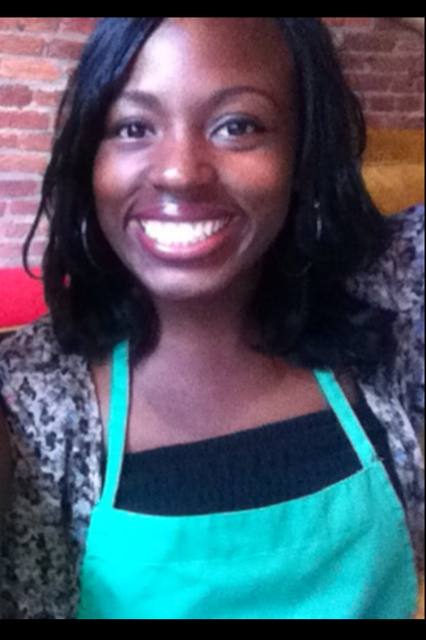 Adebamike Adeniji, ’13, serves as the Maryland-DC Campus Compact Americorps VISTA member at UMBC’s Shriver Center. “What should I do after graduation?” That question loomed during my final year at UMBC, and like many seniors, I was nervous about taking the next step in my life. I knew I wanted to go to graduate school, but I wasn’t too sure what to pursue. English? International Affairs? There were so many possibilities. I decided to begin looking for one-year programs that would help me narrow my focus and gain valuable workplace skills. I also hoped to make meaningful contributions to my community, and to continue developing the habits and mindset to make such contributions in all of my future professional roles. 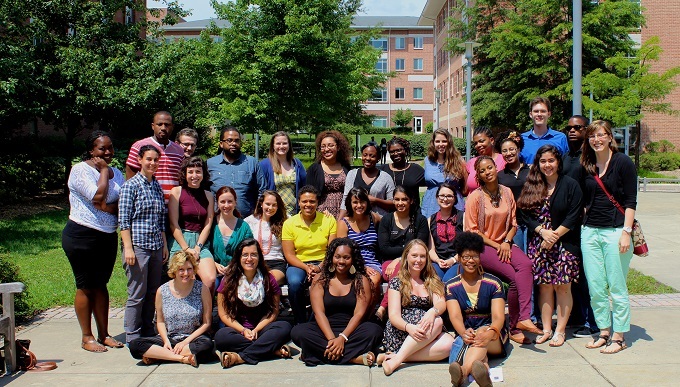 With help from UMBC’s Shriver Center, I found exactly the right opportunity for me, through the Americorps VISTA program. Participants in VISTA spend a year serving in a wide variety of nonprofits, schools, public agencies, community and faith-based groups across the country. I found opportunities to fit every interest. But my perfect match was close to home. Maryland-DC Campus Compact supports a network of Americorps VISTAs building university-community partnerships to fight poverty. One of those positions is based at UMBC’s Shriver Center. What an amazing opportunity: To recruit and support UMBC students serving as after-school mentors and tutors to at-risk students in the Arbutus Achievers program at Arbutus Middle School. Our tutoring and creative activities help motivate the middle school students to view their education as a rich source of opportunity and practical insight. This experience has helped me build solid organizational skills, stronger communication skills and the ability to work diligently under pressure. I have discovered that I am fully capable of taking initiative and leading others. The best part of my service is witnessing the impact of our collective work on both the UMBC student volunteers and the Arbutus Middle School students. I love seeing barriers to learning crumble as the middle school students become eager to learn and excited to speak to us. I especially enjoy when my student volunteers reflect on their experiences, make connections with other aspects of their own lives, and feel empowered to continue making a difference. I’m only starting to make my civic contributions, but this year of growth and change is raising my hopes and building my confidence. If you want a similar experience, consider joining Americorps VISTA. Contact the author, Adebamike Adeniji, at aa14@umbc.edu.